The Short Version: Being single doesn’t mean you have to face today’s dating challenges alone. Toronto Wingwoman is there for you with premium dating services designed to yield fast results. The professional dating coaches and consultants work closely with single men and women to create action-oriented dating plans that help individuals reach their relationship goals. Whether you want to work on your conversational skills or develop an effective online dating strategy, you can trust this dating consultancy to provide supportive resources and straight-to-the-point advice. You can get started by filling out the online questionnaire or calling (647) 490-5362 to get a free initial consultation. From start to finish, Toronto Wingwoman offers a friendly and knowledgeable guide in the modern dating scene. Years ago, Candice Alstar realized she wasn’t very good at dating, but she didn’t let her lack of success defeat her. Instead, she threw herself into every dating situation she could find and worked hard to figure out what she could do better. She tried everything, from online dating to networking events, because she believed practice would make perfect. She also read extensively about dating and relationships, learning from the experts while she got her own firsthand experience. Soon she became a much more competent and confident dater, and her friends began asking her for dating advice. At that point, Candice decided to start her own dating coaching agency, called Toronto Wingwoman, to teach men and women how to get results in the modern dating scene. Many of today’s singles run into problems when looking for a date because they have nearly unlimited dating options but don’t know how to attract and build a relationship with the right partner. Candice understands this dilemma because she has experienced it herself. As a professional dating coach, she draws upon her real-world relationship knowledge to help singles proactively seek love online or in person. “The problem with dating is not that we can’t find anyone to date, but instead we’ve forgotten (or never learned) how to date properly,” she told us. If you want advice on where or how to get a date, you can consult with the Toronto Wingwoman team. Toronto Wingwoman is a forward-looking dating company dedicated to helping singles cope with an ever-changing dating environment. Young people today have more dating options than their parents did, but that doesn’t mean it’s easy to find and connect with a compatible person. Sometimes having so many choices about where to go and who to like is overwhelming, and that’s when the expertise and know-how of a professional wingwoman can come in handy. Toronto Wingwoman sees clients from all walks of life. Whether you’re a young professional too busy to date on your own or a divorcee feeling overwhelmed by dating anxiety, you can find supportive resources and services to meet your specific dating needs. The dating consultants keep all client information confidential so even shy and private individuals can feel safe opening up to them. New clients can get a feel for Toronto Wingwoman’s style in a free phone consultation. Call (647) 490-5362 to get in touch and request the company’s services. The dating consultants ask pointed questions and use the casual conversation to determine if they can truly help that person find what he or she is looking for in the dating scene. You can also introduce yourself to the dating consultants by filling out a questionnaire about yourself and your dating goals. The Toronto Wingwoman provides personalized dating assistance to single men and women. Once the team has gotten to know you, they will recommend certain premium services, including matchmaking or one-on-one coaching, to suit your needs. 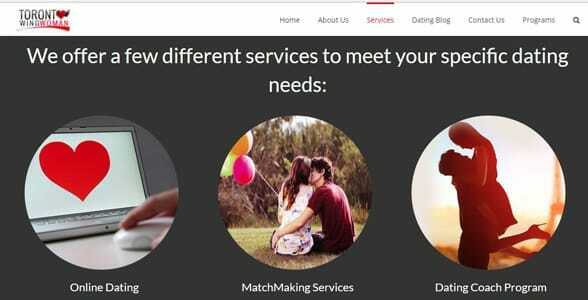 Candice said the most popular service is the online dating success program, which walks singles through how to create a stellar dating profile and pick up dates online. If you want to put your best foot forward online and increase your response rates, you can take a page out of the Toronto Wingwoman’s playbook. Alternatively, Toronto Wingwoman’s 12-week dating coaching course focuses on developing general dating skills. Trained dating coaches teach clients how to meet new people and attract dates by being authentic and confident. Clients touch base with their personal dating assistants every week via Skype. The team caters the program to the individual because each single man or woman faces different dating and relationship challenges. At Toronto Wingwoman, you’ll find dating experts of all different ages, cultures, and personality types. Some are professional dating coaches while others are trained wingwomen. Some are married, and others are still actively dating. It’s a diverse group, and Candice said that’s how she likes it because every team member brings a fresh perspective to the dating scene and makes the company’s services more well-rounded by sharing their experiences. 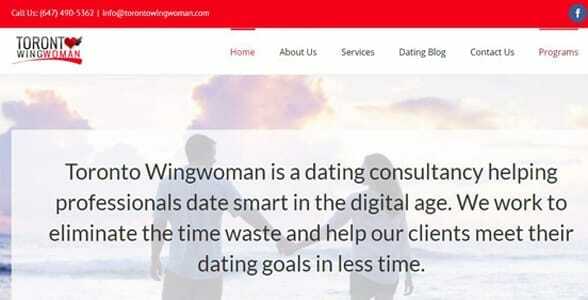 The Toronto Wingwoman is a smart dating consultancy geared toward the digital age. Each client receives personalized attention from a particular team member. Candice matches every person with a personal dating consultant who understands where he or she is coming from and what needs to be done to turn things around. The Toronto-based team of dating consultants works hard to see that singles have the resources they need to reach their dating goals. Whether you’re in need of a new social outlet or a dating profile overhaul, the consultants can give you concrete steps to up your dating game and meet viable date prospects near you. Toronto Wingwoman is in the business of love for all the right reasons. The mission of the dating consultancy is to foster healthier dating habits among relationship-oriented singles. Every day, the dating consultants can see evidence of their good work as emails pour in from clients thanking them for their caring assistance and helpful advice. Some former clients say they feel happier about their love lives, and others say they have found true love. Candice said what makes her dating company different from the typical dating coaching business is the fact she employs a team of diverse dating consultants. 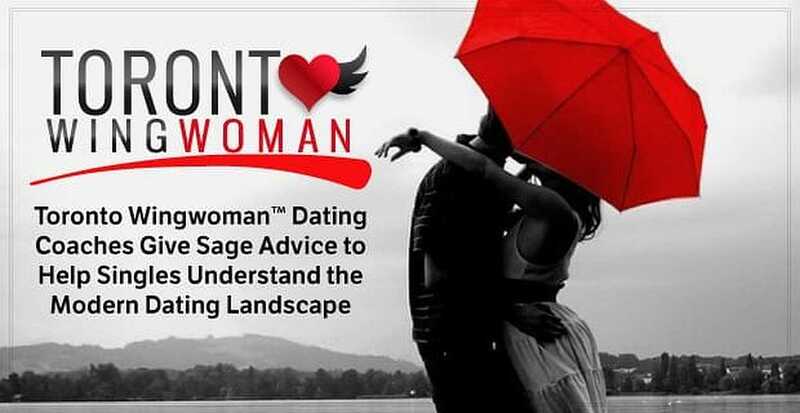 These experienced wingwomen set singles up for success in the dating world by teaching them skills they can take with them and use for years to come. Candice turned herself into a dating expert after years of exertion and study. Her personal experiences taught her what to do and what not to do in today’s dating landscape. Now, she seeks to empower singles by sharing the dating strategies she found to be successful. She works with clients on developing fundamental dating skills so they feel confident building connections in any setting. Through hands-on dating coaching, matchmaking, and online dating assistance, the Toronto Wingwoman team have given hundreds of singles the tools to reach their dating potential. In the coming years, Candice hopes to expand the company internationally and inspire more singles to find and cultivate the relationship they deserve.